Although not a new phenomenon, recently there has been a wave of articles, which emphasize the role of the EHR in physician burnout. Recent pieces in Harvard Business Review, Mayo Clinic Proceedings, Journal of the American Board of Family Medicine, etc., have all pointed to the EHR as the direct source of physician burnout. The complaints generally fall into the categories of: documentation burden; challenges around specific information retrieval; required number of ‘clicks’; and a yearning for advanced functionality. The authors generally focus on EHR vendor shortcomings as it relates to their understanding of clinician workflow, their overemphasis on billing procedures and a poorly designed GUI which does not fully recognize the principles of Human-Computer Interaction. Let’s look at this through the eyes of the EHR vendor. 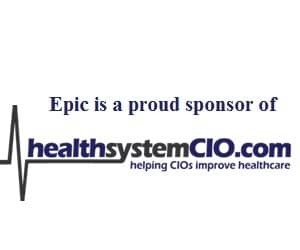 They are responsible for creating and implementing the enterprise EHR software for a variety of health systems across the country. Due to a lack of standardized best practice across the country (or even within our own systems), the variety of services offered and our recent shift from volume to value, vendors are forced to create more product variability than any individual organization will actually take. They are charged with developing solutions which will meet the needs of every health system, notwithstanding the fact that most will only select some portion of it. As a result, EHR vendors will make explicit recommendations regarding implementation and maintenance. Due to budgetary and cultural restraints, these are frequently not adopted; however, when things go awry, the first target is generally the vendor. Although this is certainly true in specific circumstances, there are key elements, which, if effectively implemented at the local level, can be the difference between failure and success through the eyes of your most critical resource: your providers. Setting up a well-distributed and representative governance structure around the design and execution of the EHR is the single largest factor in digital healthcare success. Setting up a robust PAC (Physician Advisory Council), APAC (Ambulatory Physician Advisory Council), Order Set Clearinghouse, Provider Efficiency Council, etc., will set the framework for decision-making that directly impacts the end-users. These governance committees will not only be present to opine on key design decisions, but, perhaps more importantly, will defend and explain these decisions to other providers before and after it is rolled out. They’ll provide context to other physicians and connect these decisions to other aspects of our world (i.e. CMS regulations, DNV, JHACO, innovative payer programs, etc.). Train the EHR with workflow: Don’t just showcase what the EHR can do, but focus on understanding and introducing the underlying workflow that is part of your health system’s process. What is our practice around referrals? How do we get someone admitted from the clinic? How do I order a laceration setup, and what does that include? Whatever the physician’s specialty, know the top 20 patient scenarios and understand the clinic or hospital workflow around those scenarios beyond what buttons to click in the EHR — and teach them both at the same time. Build specific patient examples in your training EHR environment. This may seem like a no-brainer, but it’s surprisingly difficult in many EHRs. Again, pick your top 20 diagnoses for each specialty and build out examples complete with lab results, outside scanned documentation (POLST form, etc. ), imaging results, and the ability to disposition the patient. In other words, build case examples that are realistic to the provider’s world and include the elements that allow them to practice moving through the entire encounter, from beginning to end. Re-Train and Maintenance. Remember that after the physician starts seeing patients, you still have work to do. They may have just begun to understand how to navigate this new world. Build a training framework that recognizes the importance of additional training. This could take several forms. One is to pull them from their clinical workspace for a full day (after two months of use) and focus on optimization and personalization of their experience. Create a space for open dialogue and answer all their questions by guiding them to the answer. The other option is to institute an ongoing training program every other month. This is generally most effective when the team focuses on only one topic and promises 3 tangible and germane takeaways for the providers. You want even want to consider doing both. Health Information Management (Medical Records). Turn this group into a highly functional and motivated team. If HIM doesn’t input documents/data correctly, then the end-using physician will have a poor experience with information retrieval. Does your HIM staff abstract data from external charts into your current EHR? If so, what is the QA and Data Governance around that effort? If information is incorrectly abstracted from the old record to the new EHR, the provider will assume that “the EHR made the mistake” when, in reality, this is almost always a manual error. What about scanned documents? Frequently, the labeled document types do not actually match the underlying document — again an egregious error, and one that is not owned by the vendor but rather by the health system for having poor or incomplete processes in place for accurate document capture. For example, in my institution we were previously scanning in heart rhythm strips as “EKGs” and our pulse oximetry were being scanned in as Pulmonary Function Tests. Imagine how annoying this is to the physician who is searching for patient specific information only to find that what was labeled as A is really Z. The EHR can and should be a highly functional experience for physicians and providers. A significant portion of the local EHR experience is within the control of the individual health system and their empowered providers. How we design, govern, train and resource this effort will directly influence how our end-users experience this intersection of healthcare and IT. Lee Milligan, MD, serves as VP and CMIO at Asante, a multi-hospital system serving patients in nine counties throughout Southern Oregon and Northern California. An emergency medicine physician, Milligan remains tied to his clinical roots. 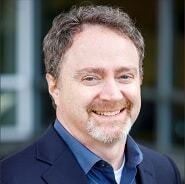 He is also director of the Governing Board for both Asante and the Oregon ACO.